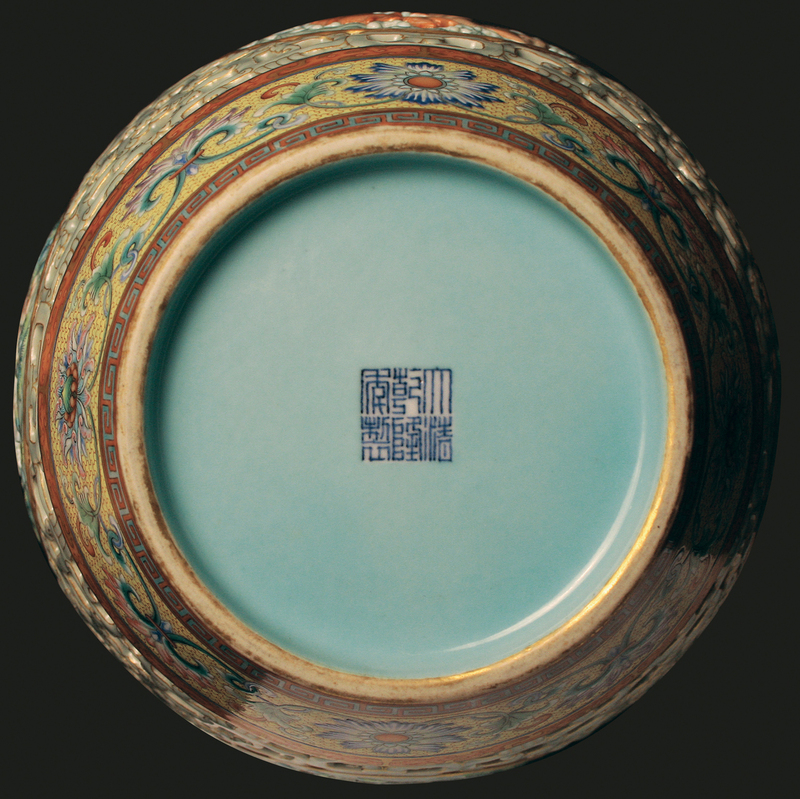 the underside with similar pale turquoise enamel neatly reserving the seal mark, and with remains of gilding to the footrim; 16 ins high. 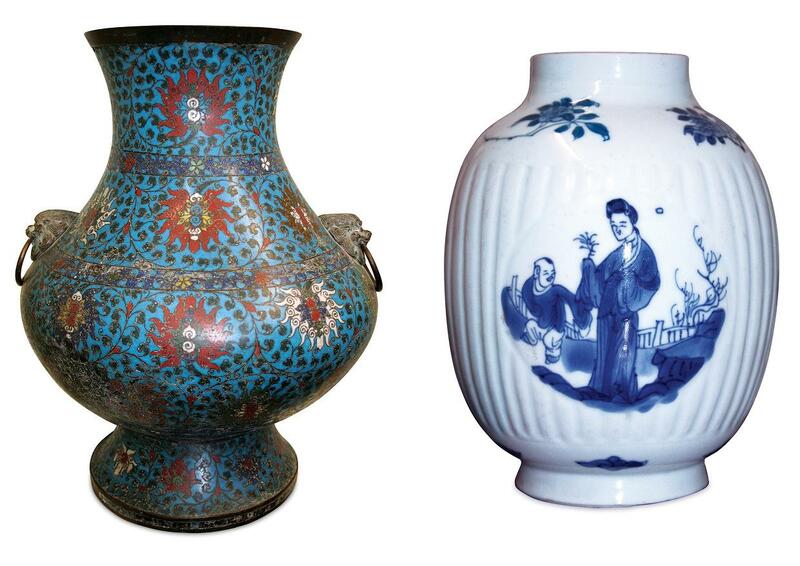 PROVENANCE:Â An English family collection – believed to have been acquired during the 1930s or earlier. 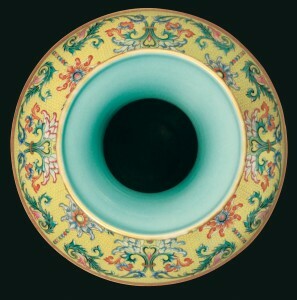 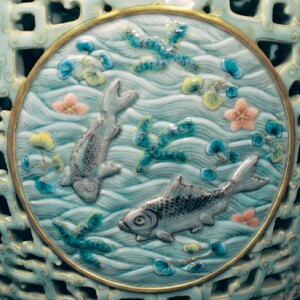 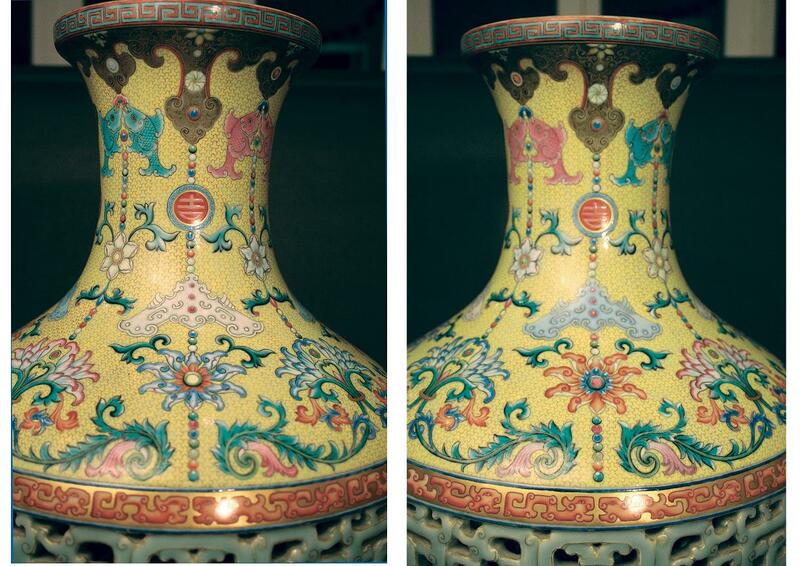 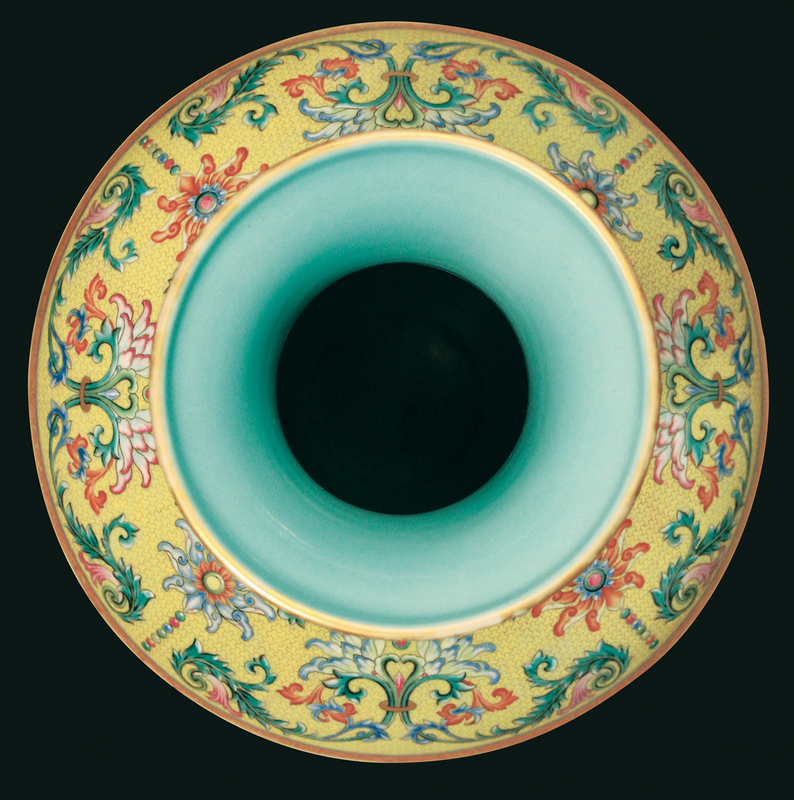 This vase combines various differing decorative elements in a manner typical of Tang Yingâ€™s directorship of the Imperial manufactory at Jingdezhen during the early years of the reign of the Qianlong emperor â€“ a period of remarkable technical achievement, of which it is a worthy example. 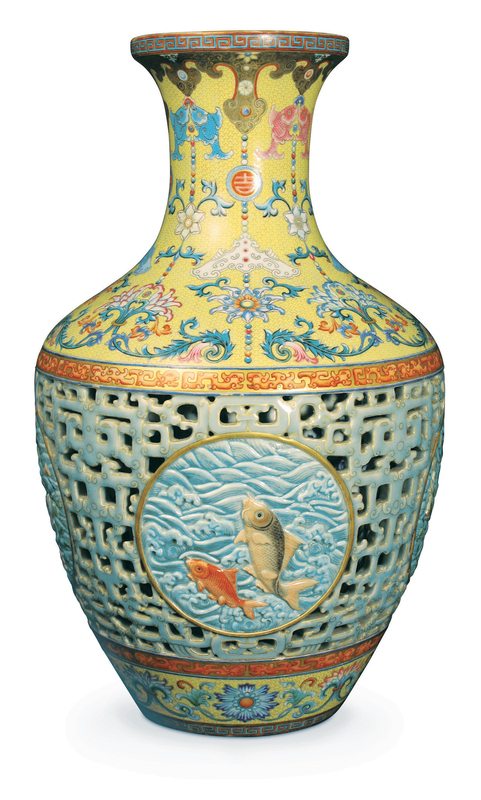 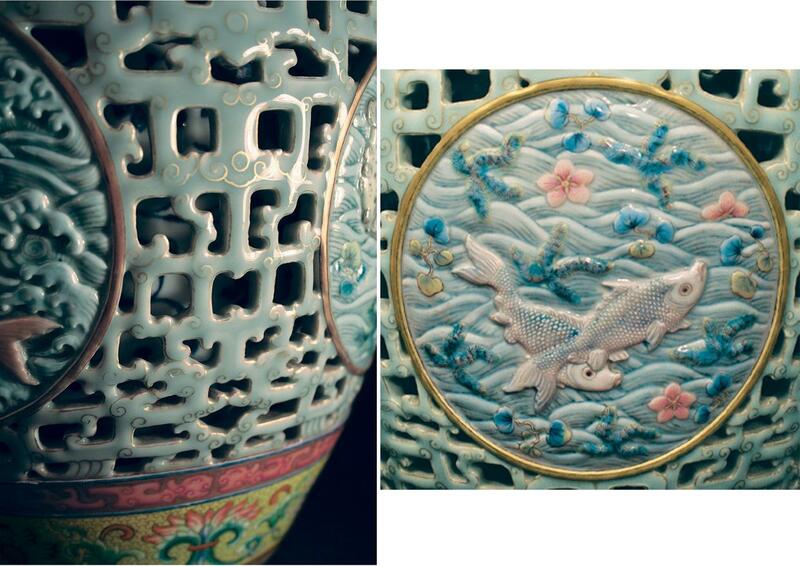 a bottle with comparable celadon reticulation and similar gilding, with blue and white floral decoration to the inner wall. 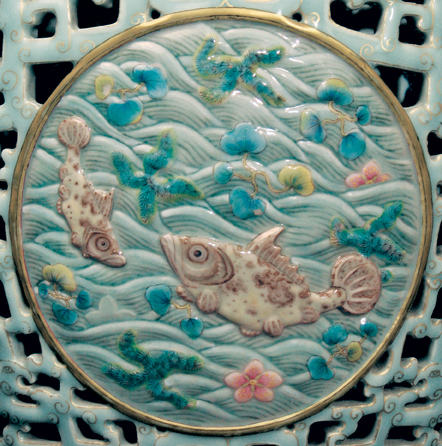 Although the enamelled decoration of the neck and base is of a recognised type, the ground would appear to be unusual in this context whilst occurring on export wares of the period. We also have other items of interest in our sale – some images can be viewed on the main part of our Blog (‘Blog’ on the top line), the catalogue will be avaliable online from the weekend before the sale.